"Joe's proved to be an excellent designer which I would strongly recommend. He made magic happen and I'm sure we'll do some more in the future." "Great work, detail oriented. Open to changes. " 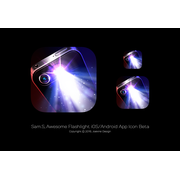 "Really great job on the app icon, exceeded our expectations. Thank you again!" "Joe's very talented and has a keen eye for details. I'm happy to have met him." "Awesome work! Quick and responsive. High attention to detail. " "He does the work perfect as always." "Very nice and creative design "
"Perfect work from start to finish. For an incredible price, Joe performs on all levels from communication to actual implementation of the requested design." "Talented designer thanks Joekirei ." "One of the best designer on 99designs..."
"Very talented and intelligent designer who understands things very fast and creates amazing designs. She is very polite in talking and would love to work with her for future project. I am thankful to her for designing a wonderful icon for my app. " "Great work - best icon design i have ever seen :-)"
"I have never worked with a designer who is so amazingly talented, and responsive. Joe is a very creative designer who is also very detail oriented. He responds quickly to any design requests you may have and makes sure the design is exactly what you env..."
"Once again a stunning result from a brilliant designer! Two thumbs up!" "Incredibly talented designer! Worked with me every step of the design. Went above and beyond in making my perfect app icon. Thank you!" "Joe is one of those few talented designers. He creates beautiful designs and is a pleasure to work with him! Always provides multiple iterations until you are fully satisfied with the result." "Joe is an extremely talented designer! He has exceed my expectations twice in a row now!!! I am super happy and excited with the quality of the icons Joe has created for me and I am very grateful and lucky to have had Joe participate in my icon contest...."
"Incredibly talented designer. Infinite patience working through numerous changes. A job well done!" "I've used this designer for several of my projects: he is very, very good at what he does and never disappoints." "We never expect Joekirei will won this project, he show up late at the contest but end up giving us a great logo design. One thing for sure, he can draw an authentic concept logo's that differ him from the other designer. I think that's why he won our c..."
"Joekirei has excellent skills. He is quick and has a great attention to detail. I can definetly recommend him and will definetly invite him to future contests." "Joe did a great job! He was very responsive and easy to work with. I was very impressed with his work." "I can't say enough good things about Joekirei. He is an amazing designer and a lovely person. He has great attention to detail, responds quickly to revision requests, and comes up with totally unique and eye-catching designs. He will be one of the first..."
"Working with Joekirei has been a great experience. He is an extremely talented designer with an eye for detail! His talent combined with his prompt feedback and professional attitude makes him one of the top freelance designers on the Internet! I'm lo..."
"Fantastic design work from Joekirei! Did everything I asked for all along the way, and the outcome was absolutely stunning!" "Awesome work and source file was well documented and detailed." "Not only is a Joe an excellent artist -- his attention to detail and commitment to 100% customer satisfaction is second to none. I absolutely recommend Joe's design services with full confidence and satisfaction. " "Joe did an *awesome* job, was very receptive to feedback & iterations. He included detailed instructions in the final files so I could mix & match the elements I liked. Highly recommended!" "He does some really amazing magic!" "Awesome design. Took my words and creatively put them onto paper. Definitely someone you'd want to work with would will produce excellent work! " "Excellent artist with creative ideas, strong craftsmanship, and most importantly, a collaborative spirit and drive to please. Joekirei didn't stop until my logo was just perfect!" "Joe did an an awesome job creating a fantastic looking set of icons for GrocerEaze. I highly recommend him." "outstanding work! 5 stars :)"
"Fantastic professional design that's added real value to my product." "Very happy with the App Icon Joekirei produced. Process was smooth and swift. Highly recommended." "What a great designer! Joe produced a beautiful icon--actually, he produced quite a few great icons. It was a joy to work with him!" "Good response and pleasant attitude. And of course, excellent designer." "Joe once again went the extra mile to produce truly stunning designs. Highly recommended." "Joe is a very talented designer and a real pleasure to work with! His designs are very rich and 3-dimensional, and he does a wonderful job of capturing the essence of the brief. Joe takes feedback well and is always friendly in his communications. I ..."
"Joe was an absolute pleasure to work with. He listened to feedback and made changes quickly. His submitted design was stunning. I cannot recommend him enough!" "Joe has a real talent in designing awesome detailed icons, loved his creativity and his work ethics. We highly recommend working with him! " "Joe's submitted a design to me that was great then I gave him one comment about what I would like to see better and his second submission blew me away!!! He is a very talented designer and you should be very flattered and grateful if he chooses to take..."
"i'm proud to say that Joekirei has done a great job for our company, bringing high quality design and great attention to feedback! he is a true pro! good luck! on behalf of the Trippin' in team." "I loved this design! I had several artists working on this project and, although there were some very good entries, Joekirei's design was so far ahead of all the others that it was clear his was the winning entry from the moment I saw it. He clearly..."